PDT Training Services take pride in providing quality accredited training for courses such as Forklift Truck, (Access Platforms/MEWPs), Plant Machinery as well as accredited training for Manual Handling, Fire Awareness/Marshal and Vehicle Banksman Based in Liverpool, our instructors/examiners are fully certified and accredited by industry recognised organisations. Training courses are cost effective, convenient and adaptable to your specific requirements. Any shift pattern can be accommodated. PDT Training Services work with the leading accrediting bodies to ensure all courses comply with HSE legislation and industry best practice, whilst offering a competent and competitive service, with excellent value for money. PDT Training Services cover the whole of the North West of England. PDT Training Services is a professional operator training provider in Merseyside. We provide on-site operator machinery equipment training and safety courses for customers in the commercial, industrial and retail sectors. 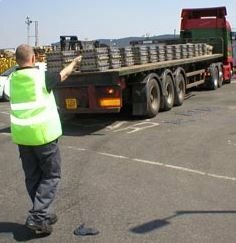 All our Instructors are accredited to ITSSAR for plant machinery and all trainees are issued with a unique operator number which is entered into the TOPS system, Trained Operator Passport Scheme. We maintain a database of all the operators we train. Customers can also retrieve operator's practical and theoretical paperwork should there be a requirement. 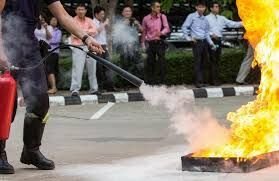 The customers/employers will be contacted as and when their operators are due for refresher training. For corporate customers we provide a variety of training at a customers site. We can carry out training onsite at customer premises at any selected venue within the North West. Training can be conducted at a time and day that suits the customers requirements to minimise productivity downtime. 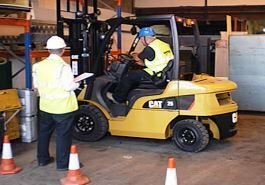 Onsite courses include Plant Operator, Access Platform, Heavy Plant, Forklift Trucks, Mechanical Handling Equipment Safety,Manual Handling & Fire Awareness For onsite training we ask that customers provide the following: a suitable area for practical sessions, an appropriate machine, suitable loads and indoor facilities for presenting theory. When training at customers premises, each instructor is a fully mobile unit. Each instructor is provided with the appropriate aids, course registers, manuals, safety codes and protective clothing required for the training. Contact PDT Training Services for all your professional on-site operator training requirements. Based in Liverpool, we serve customers across North West England.